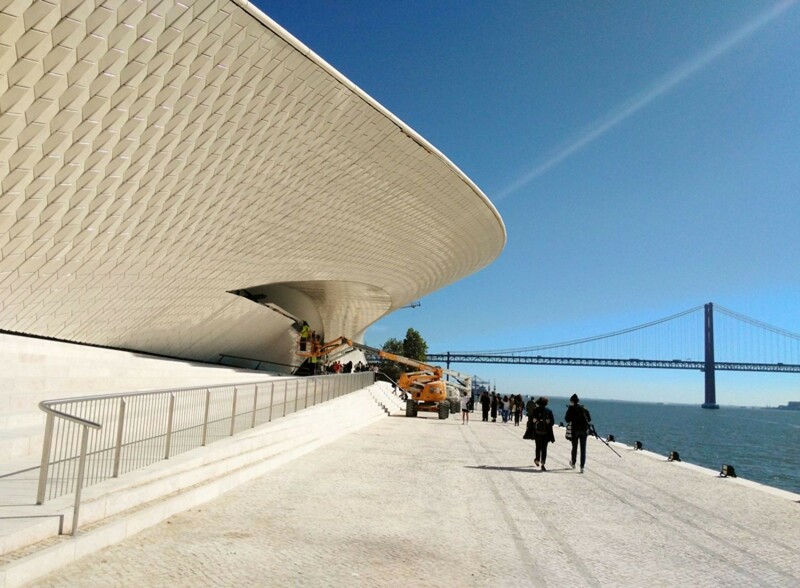 Museum of Art, Architecture and Technology (MAAT), Lisbon. I finally decided that this is the time to start writing. Before getting into the main topic, though, let me give you a brief overview of what I am doing and why I decided to write about innovation in museums — because this is what it is all about. I discovered my creative side when I was six or seven years old, when my sister brought me to the public library and initiated me to the magic world of literature. I started reading one book a week, first tales for children, then classics. After a while, I decided I wanted to become a poet, and I composed one poem about the Nothing, named “What is nothing?”. It didn’t have a lot of success, surprisingly. However, this didn’t kill my dreams of becoming a writer or an artist (after an unexpected period in which I wanted to be a hairdresser). In school, I started getting more and more passionate about all subjects involving literature, philosophy and art. This lasted until I was 18, when the typical existential crisis on “what will I do next?” hit me like a hurricane. Confused, lost and in seek of a faculty that could respond to all my expectations, I opted for postponing the final decision and ended up at the Faculty of Management. Now, this might sound as the death of my creative side, and I have to say that for the first year this was exactly the feeling I had. However, the good thing about Management Faculties is that indeed they have such a broad coverage of topics that any lost soul can find her own path. And this is what happened to me, when I started studying Open Innovation, a bit by chance. 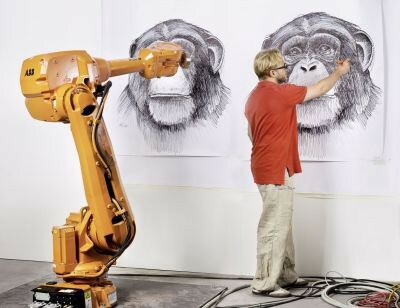 I found out that, eventually, innovation and creativity were not that far away from each other. Inventing something is already a huge creativity effort — imagine what it takes to make it real, make it nice and launch it in the big mysterious ocean of a market. I found out that, eventually, innovation and creativity were not that far away from each other. Inventing something is already a huge creativity effort — imagine what it takes to make it real, make it nice and launch it in the big mysterious ocean of a market. My creative side was not gone, I just needed to keep it alive. One of the most difficult things at the Faculty of Management was to find other creative people among all the students to share my passions with them. There were a lot, but they were well hidden under layers of numbers and workload for the exams. I remember one day in the first weeks of courses in which I really wanted to go to visit a museum, MART. Well, I couldn’t find one single person that would come with me. I was somewhere in between surprised and depressed, and I decided that one day, in my life, I would have found a way to make everyone understand that going to a museum is interesting, enriching and, above all, FUN. After discovering my interest for innovation, I decided to enroll for a master in Strategy and Entrepreneurship, and I wisely chose to attend it in the beautiful city of Lisbon — a boost to creativity and inspiration. I am now in my thesis semester and in these two past years I left free space to my creativity within the startup sector, with ideas and job experiences (If you’re interested in knowing more, here’s my LinkedIn profile). Just in time to remind me to not to rest in laurels, though, the second existential crisis of my life is yet to come: The “OMG-I-need-to-find-a-job-that-I-like-and-that-makes-me-survive” moment. I decided that one day, in my life, I would have found a way to make everyone understand that going to a museum is interesting, enriching and, above all, FUN. This is the problem I want to solve now. People spend their Sundays in cinemas, in shopping malls, or traveling. Why aren’t museums seen as a leisure activity like all these ones? How can I convince anybody to come to a museum and even to go back to it for a second time? I still don’t have the answer, but I know that innovation can find a solution to it. I am now writing my thesis with MAAT, the Museum of Art, Architecture and Technology, to explore the concepts of edutainment and interactive technologies in art. I am sure I’m going to learn a lot from it and I am willing to share my insights. So, if you wish, here’s where you will find out what I learn, step by step, towards what will hopefully become a nice thesis project and — why not — the basis for a future profession. Ps. I love, and need, feedback. If you have any interest in this field and you want to talk about it together, please drop me a message! Born in year 5 Before Google. 100% Made in Italy. I write about innovation in art, edutainment and entrepreneurship.